Consciously Snacking Is More Than Just A Plant-Based Snack Food Company! It's a gateway into a LIFESTYLE that believes in a future WITHOUT cruelty towards animals, a movement towards greater SUSTAINABILITY, and most importantly, a chance to THANK & APPRECIATE Gaia (Mother Earth), for continuing to sustain and nurture us. At Consciously Snacking, we support smallholder farmers to help them preserve their land, heritage and traditional lifestyles. We choose to source only young Thai "Nom Hom" coconut meat, world-renowned for its spectacular taste and aroma. 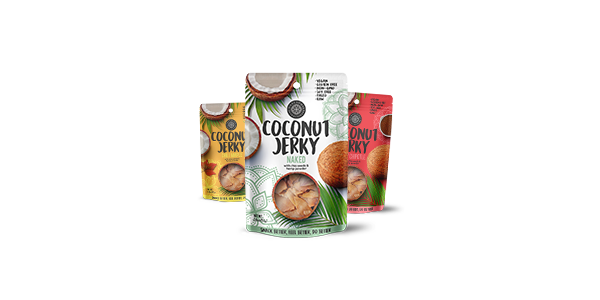 Coconut meat, the thick white layer of meat beneath the shell is low in fructose and packed with fiber, potassium, naturally occurring electrolytes and healthy fats. The lauric acid in coconut meat has even been found to stimulate your metabolism and help your body burn fat.